When the time comes to build a deck, one of the most important decisions you will have to make is which material to use. With so many options available, making this decision on your own will likely prove to be difficult. Luckily, our licensed deck contractors in Los Angeles are always happy to lend their expertise when it comes to the ideal materials for your project. Our team is committed to using only the highest quality materials. Here’s what you need to know about each of the options. Composites, also known as composition materials, are human-made materials that serve as an alternative to wood. Of the dozens of composite options available, only three have the best durability and warranty: Azek®, TrexTranscend® and TimberTech®. Though there are three brands in the Trex line, we only utilize Transcend® as the lower quality options can show wear and tear or produce other issues early on, whereas Transcend® offers a lifetime warranty. Percentage of PVC: TrexTranscen® is composed of 95 percent recycled wood with a sheet of PVC on top, Azek® is 100 percent PVC, whereas TimberTech® is made up of plastic and wood fibers, 73 percent of which are recycled. Warranty: While at L.A. Decks we offer a lifetime guarantee on both labor and materials, weighing the warranties of a material is a good way to determine its strength. For example, TrexTranscend® boats a lifetime warranty, while the warranties for Azek® and TimberTech are 35 years and 25 years, respectively. Appearance: Not all composites are equal regarding appearance, and it is important to determine which meshes best with your style and preferences. Durability: The warranty may provide an estimate of the material’s strength, but it is important to ask your contractor about other maintenance factors. Will the material scratch or stain? When, if ever, should you expect to see minor wear and tear? Asking these questions will help you narrow down the options. 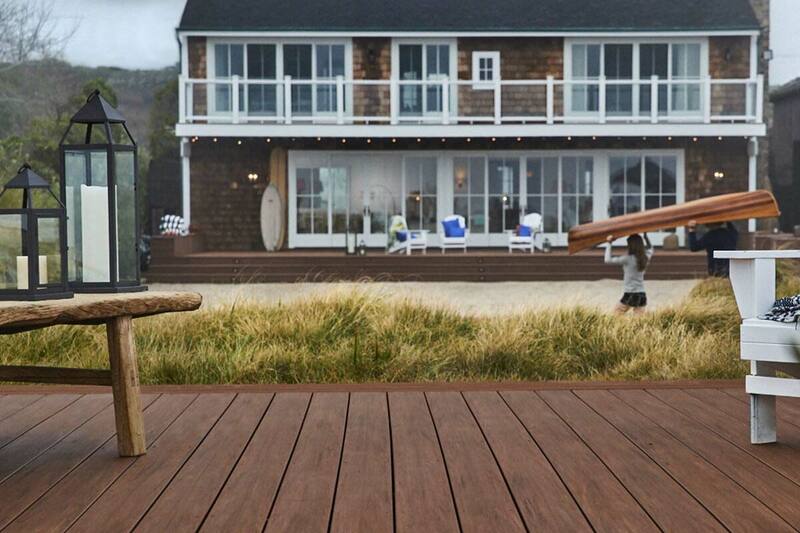 While there are many options out there, we only use two types of wood for decking projects at L.A. Decks: Ipe and Mangaris. Though redwood used to be a great choice for a backyard deck, we no longer offer it because it stopped meeting our high standards. When it first gained popularity, Redwood was composed of 80 percent redwood and 20 percent white wood. Now, the current producers offer closer to 40 percent redwood and 60 percent white wood, which translates to a softer wood that is not as resistant to California’s termites. Ipe and Mangaris, on the other hand, are strong enough to withstand Southern California’s climate and conditions. Ipe is an incredibly dense wood, and we obtain our Ipe from one of just two certified dealers in the local area to ensure its durability. Alternatively, Mangaris is a softer wood, though still of fantastic quality and very beautiful. Those deciding between these two options will want to consider not only durability, but the other features present in the backyard. For instance, we would not recommend Mangaris to someone who has a white wall near the deck, as this particular type of wood can leave stains when it rains. If you’re ready to build the deck of your dreams, our licensed deck contractors in Los Angeles are here to help you every step of the way. Call us today to set up a free consultation.